A full day including lunch, guidebook and a guided tour meeting the animals! Step into the world of the animals and their keepers... with a very special guided tour of Woburn Safari Park with the one and only Bob the Ranger. Woburn opens its doors to visitors for a unique chance to explore the animal houses with Bob and get amazingly close to the lions, rhino and elephants, often meeting them face to face. This new limited edition VIP Experience is only available on a limited number of dates, with six places per date. Woburn’s charming Bob the Ranger will be taking his lucky guests on a grand tour of the park and giving a rare insight into the individual animals; their care, behaviours and personalities, conservation efforts and the keepers’ daily routines. The tour starts with a trip inside the lion house, meeting the pride in their secure overnight pens. Your day includes a close encounter with the rhino herd and an off road tour of the Road Safari with tigers, bears, giraffes and monkeys. After lunch you’ll enjoy an elephant demonstration, before your special photo opportunity with one of the herd. Bob will then complete the tour with a look behind the scenes in the Foot Safari, meeting many wonderful wild residents in the process. Your day includes a delicious lunch in the Safari Restaurant, with a choice of hot and cold food, drinks and snacks. You will also receive a VIP Experience certificate of completion and a copy of the Woburn Safari Park guidebook. Tickets are priced at either £299 per person for a non-exclusive dated booking where you may share the trip with other guests (max 8 people per booking), or you can make an exclusive booking in advance - simply call 01525 290991 to enquire. Dates are subject to availability and you must be aged 16 years or over on the date of the experience. Unfortunately the VIP Land Rover vehicles are not wheelchair accessible. Exclusive trips for families or groups of up to eight people are also available to book. Please enquire on 01525 290991.  These VIP Experiences can only be purchased by calling the VIP team on 01525 290991 or request a call back via email at vip@woburnsafari.co.uk.